Earn $1.53 in VIP credit. Click to Learn More. 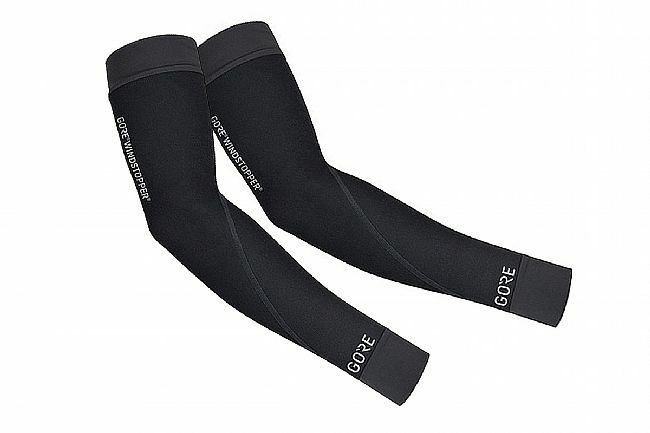 Gore Wear's Windstopper Arm Warmers feature windproof and water repellant GORE® WINDSTOPPER® fabric for extra protection when the weather turns a bit nasty. Unlike other options out there, these arm warmers are extremely breathable so they won't cause overheating. Flat-lock seams and elastic at the top and bottom cuffs ensure a soft, snug, and stable fit. Windproof, water repellant, breathable GORE® WINDSTOPPER® fabric. Reflective transfer print marks right and left. Elasticized top and bottom cuffs. Best suited for 41° to 59°F.